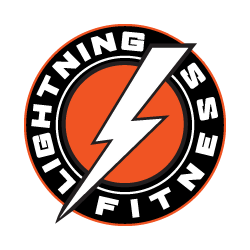 ​If you are looking for a gym that has a positive atmosphere, where like-minded individuals train hard and motivate each other, Lightning Fitness could be the place for you. Our priority is to provide you with the certified guidance, equipment, and environment to achieve YOUR fitness goals. We are North Eastern CT's largest private gym, focusing on strong(wo)man, and powerlifting training for fat loss and strength. Although our reputation was built primarily on strength athletes, our clientele also includes individuals who never exercised before. Our high-intensity kettlebell training, and spin classes will burn body fat fast. Training regimens include a wide variety of effective and exciting implements; sleds, farmer walks, battle ropes, yokes, tires and so much more. Powerlifters, Strongman competitors, and Olympic lifters – we have all the equipment and specialty bars you will need to prepare for your meets and competitions. Come train where the coaches train. ​Interested? Give us a call! If you don't agree... We are NOT the place for you! Matt Mills MA, CSCS, AOS Strength & Conditioning Specialist, ASC Pro Strongman. Matt is a graduate of the University of Connecticut earning both his Bachelor's and Master's in Strength and Conditioning. He is also certified through the National Strength and Conditioning Association as a Strength and Conditioning Specialist. As a strength athlete he is an accomplished powerlifter with a best deadlift of 800 pounds. He is a lightweight pro strongman; best competition lifts of a 370 log press, 900 pound Hummer tire deadlift, and a 410 pound Farmers Walk.